MESUTRONIC GERÄTEBAU GMBH, Kontroles un regulēšanas ierīces un instrumenti, Elektromagnēti, Topogrāfija - ierīces un instrumenti, EUROPAGES. For over 20 years MESUTRONIC Gerätebau GmbH is producing innovative metal detection technology to be used in industrial applications. From the Headquarter in Kirchberg im Wald, Germany, we supply our global operating customers with highly sophisticated metal detectors and metal separators. Our passion for Innovation motivates us to strive for top performance day by day, enabling us to be rightfully called one of the technology leaders in the field of metal and foreign body detection. In the segments of food, pharma, hygiene, plastic, textile, wood and mining we offer a wide range of products, helping you to protect your production machinery and finally your customers from harmful contaminations. Experience “Metal Detection made in Germany” with a metal detector or metal separator from MESUTRONIC. Šis uzņēmums publicēja aktualitātes citās valodās. Skatīties tās tagad. 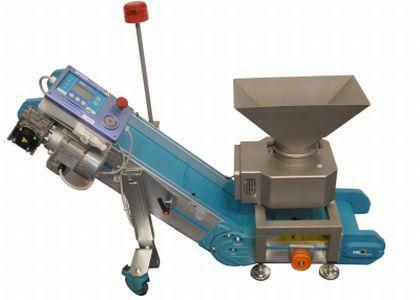 Foreign body detector for qualitiy control of packed goods using X-Ray technology. 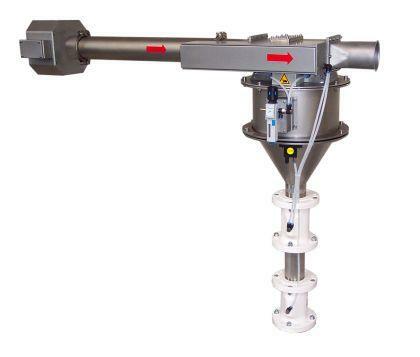 Metal separator for the examination of free falling bulk materials, fulfilling even most stringent hygiene requirements. 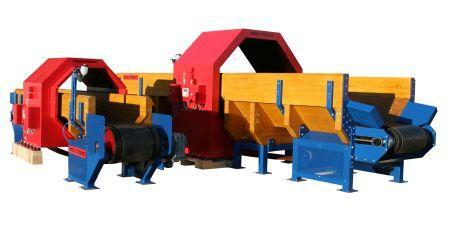 CONVEYOR SYSTEM FOR THE EXAMINATION OF ROUND LOGS IN THE LUMBER YARD.